Located in the center of town, Southborough Village Preschool provides morning, afternoon and full-day preschool programs, as well supervised extended day playschool. At Southborough Village Preschool we are committed to providing a warm, rich, inclusive, educational environment in which our students can grow and learn as they begin their journey towards lifelong learning. Call or email us today for a tour and to meet our teachers! 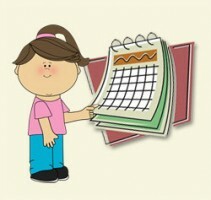 Below you will find some information regarding upcoming events at the Preschool. Please let us know if you need any clarification or have any further questions. Please note that registration for the 2019-2020 school year has begun! We currently have a few openings in our 2 and 3 half-day classes as well as our full-day classes. Interested in a full day for your child, or 5 full days? Please call for more information regarding this option. We would love to show you our school! Please call for a tour (508)485-3109. We will be closed for February Vacation from February 18th through February 22nd. School will be closed town wide Professional Development days on Monday, March 11th and Friday, March 29th. We will be closed for April Vacation from April 15th through April 19th.